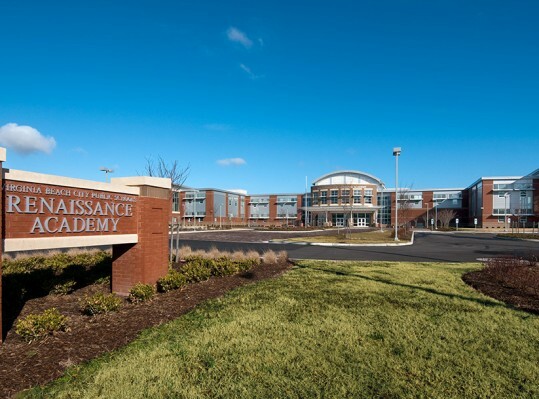 Renaissance Academy is Virginia Beach’s alternative education center for students in grades 6-12. 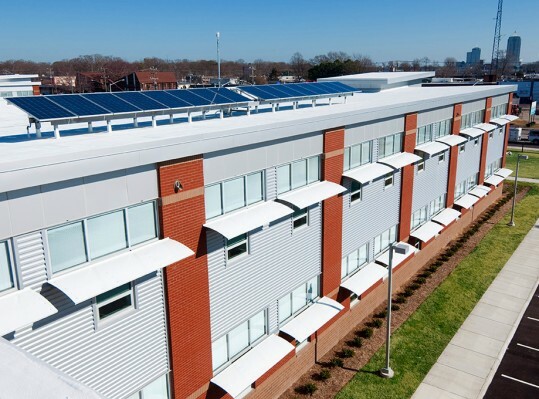 The main challenge with this design was bringing together six main autonomous programs with multiple sub-programs into one building on a small semi-urban site – none of which previously shared a facility. 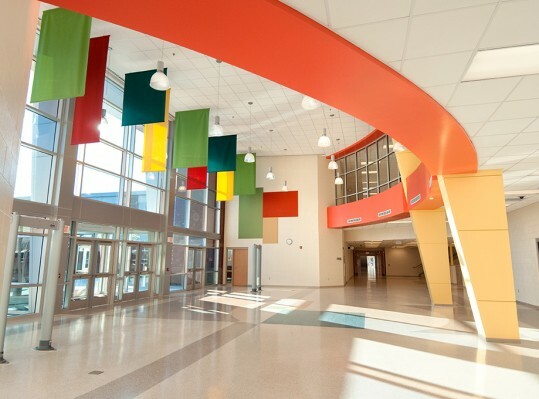 There is a strong emphasis on sustainability throughout the design of the school. 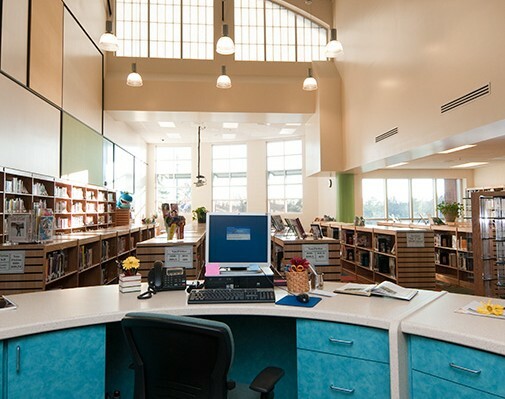 The Building Systems Data Display is visually accessible, interactive and shows real-time displays of building energy use and production, water use and amount of water being collected, carbon emission levels, the current air quality and amount of money the school has saved. 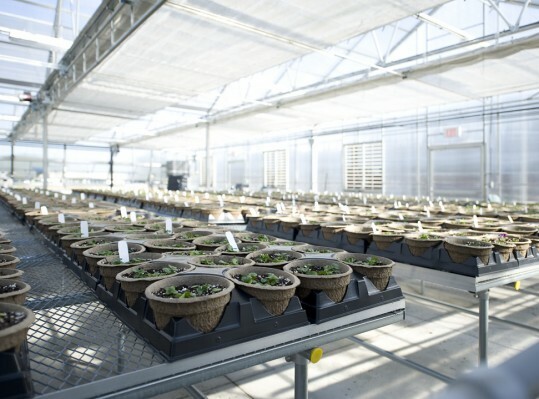 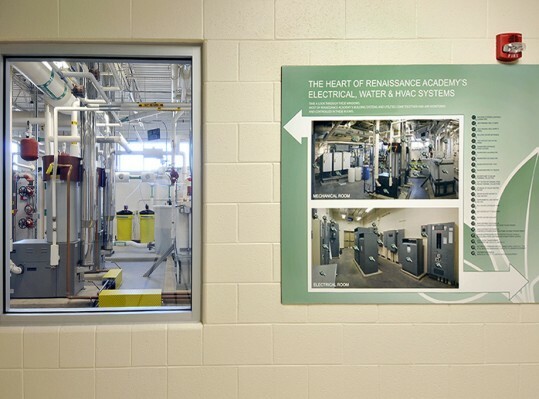 Renaissance Academy is providing energy savings well over $100,000 per year. 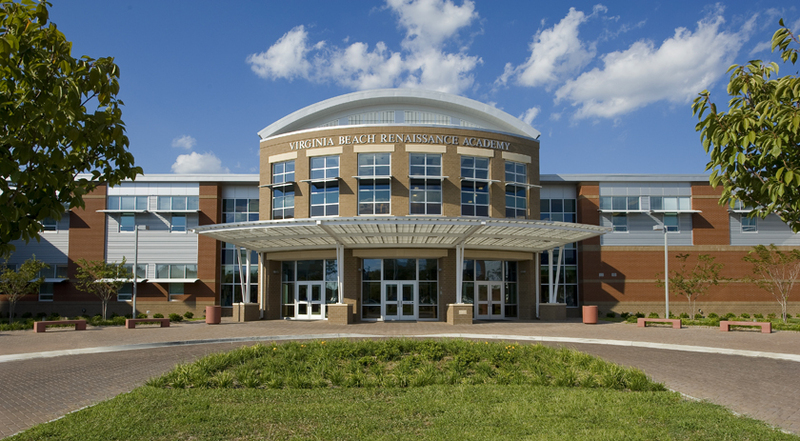 The entire building has also been designed to act as a teaching tool for the students. 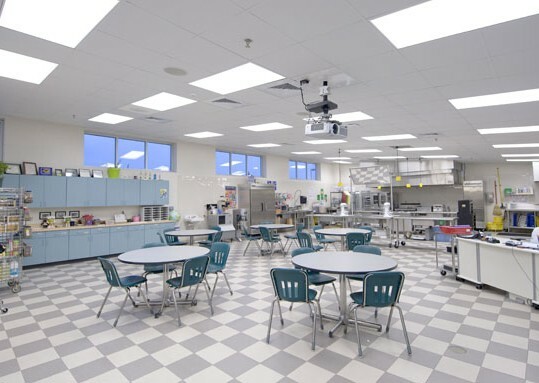 In the cafeteria, part of the rainwater collection system is exposed so students can watch the system in action. 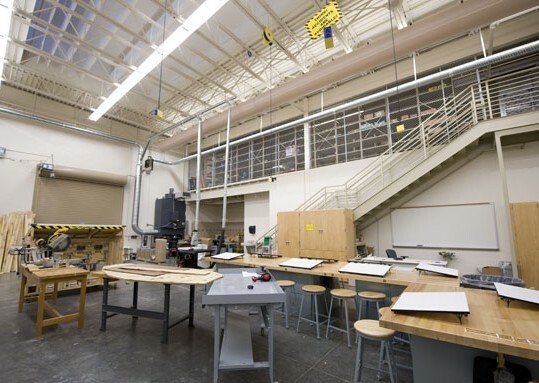 A window exposes the mechanical systems and a sign explains how the energy-efficient system works. 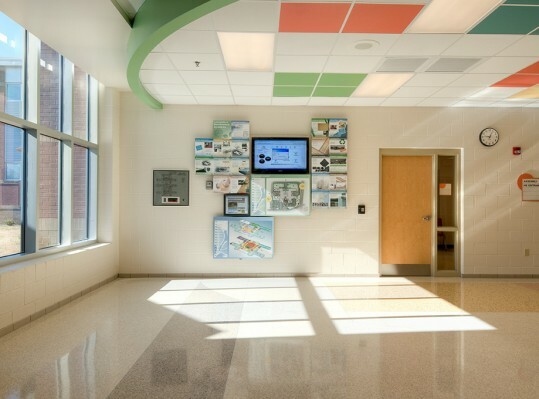 Various signs throughout the building educate students on the multitude of sustainable and energy efficient products, systems, and processes that designed and constructed their new school.